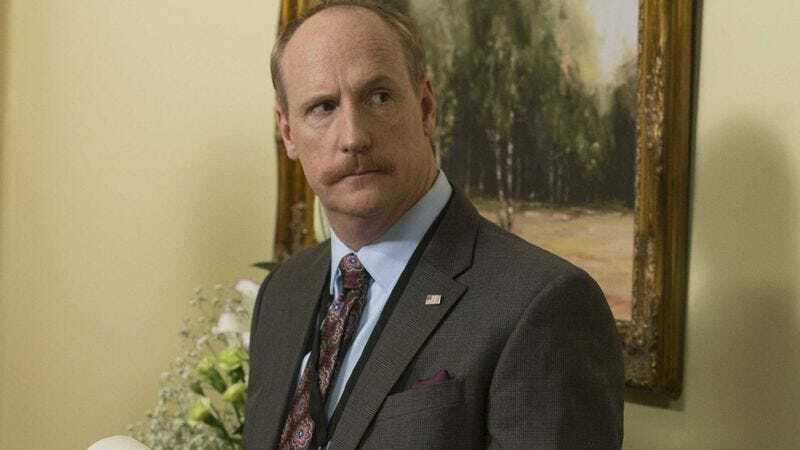 The Veep gang may all be going their separate ways after a hard-won defeat at the polls, but Matt Walsh is keeping busy. He stars in the upcoming Keeping Up With The Joneses, along with the impossibly-beautiful Gal Gadot and Jon Hamm. The Office Christmas Party actor was also recently cast in A Stupid And Futile Gesture, the National Lampoon origin story starring Will Forte, which was written by Walsh’s Childrens Hospital collaborators, Michael Colton and John Aboud. The details of his latest role are being kept tightly under wraps, but Variety reports that Walsh has signed on for Melissa McCarthy’s Life Of The Party. The film is McCarthy’s latest collaboration with husband Ben Falcone, who will direct. It’s already been scheduled for release on May 11, 2018. Plot info is scant, but Life Of The Party is reportedly similar in tone to Back To School, the classic 1986 Rodney Dangerfield film which saw a young Robert Downey Jr. wander off the set of Falco’s “Rock Me Amadeus.” We don’t know what a similarity in tone suggests for the premise of the new film, but Walsh will play McCarthy’s husband, who will constantly be clad in golf pants. That’s actually a bad sign—if he’s always in golf pants, that makes him one of the yuppies or squares, and we all know that yuppies and squares are not to be borne in any kind of ’80s movie. At least, not the kind of ’80s movie that has Rodney Dangerfield doing the triple lindy in its climax.